Michael Hollander, PhD, is a nationally recognized expert on the etiology and treatment of self-injury, and lectures nationally on the subject. He has been treating adolescents and their families for over 40 years and has held numerous positions of clinical leadership at McLean. He is a co-founder of the McLean’s exceptional 3East Dialectical Behavior Therapy (DBT) program, and provides consultation to patients, family and staff. He is a trainer for Behavioral Tech, and travels nationally and internationally training clinicians in DBT. 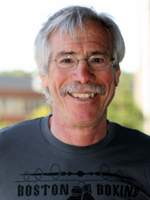 In addition to Dr. Hollander’s work at 3East, he is a senior supervisor in McLean’s Mentalization Based Therapy (MBT) clinic and a supervisor in the Behavioral and Research Training Clinic at the University of Washington. He is on the faculty of the McLean/Massachusetts General child psychiatry fellowship program and was recognized as Teacher of the Year in 1998.